THE CALL TO THE MINISTRY AND CAN WE TELL WHEN OTHERS HAVE IT? 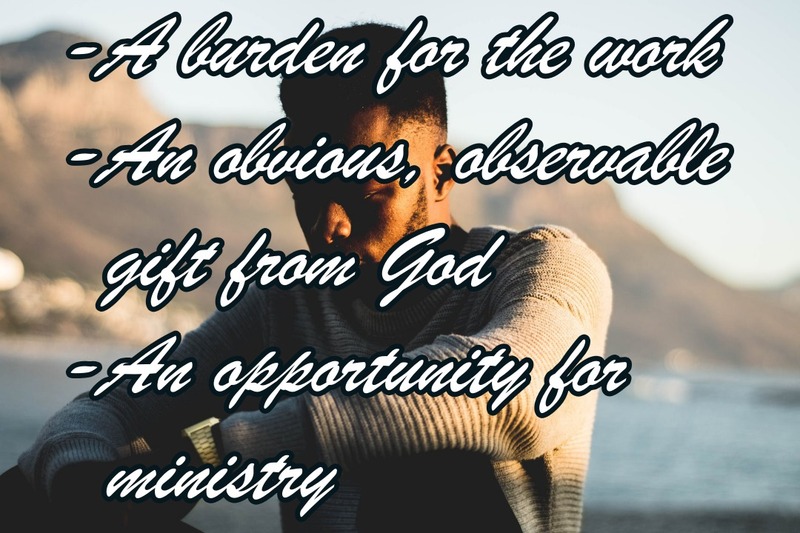 Every Christian ought to have some sort of burden for the work of the ministry. But the burden alone is not evidence of a call into the work of pastoring or planting a church. Not only that they are doctrinally sound and talented enough to deliver it but that they are stable enough spiritually, emotionally and with health to do the work without creating a excessive burden upon their marriage, their children or those they minister among. Next Next post: Titus 1:10-11 But How?